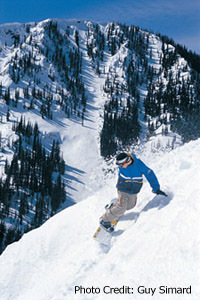 Red Mountain Ski Resort Map - Still searching for your Red Mountain BC accommodation? Luckily, we've collected some important info and a trail map to help you in your Red Mountain BC Resort research. Ski Red Mountain - Read some practical money-saving tips to help you save on Red Mountain BC accommodation, lift tickets, and more. Red Mountain Accommodation - Browse, view and instantly book our current Red Mountain BC properties. Red Mountain Heliskiing & Cat Skiing - Save 10% on your next heliskiing or cat skiing trip with our guest services partners. Red Mountain Guest Services - Become a Red Mountain BC guest services partner and take part in an innovative program that drives guests directly to your business! Red Mountain Owner Services - Advertise your owner or property services business for free on this directory! Red Mountain Direct Rentals - If you're a Red Mountain BC property owner, learn how to list your property on AlluraDirect.com for one tiny annual fee and enjoy our time tested, perfected and proven all-inclusive services to help you achieve your goals! Ski Travel Insurance - Find out more about ski travel insurance and how it can protect you in case of unexpected situations.